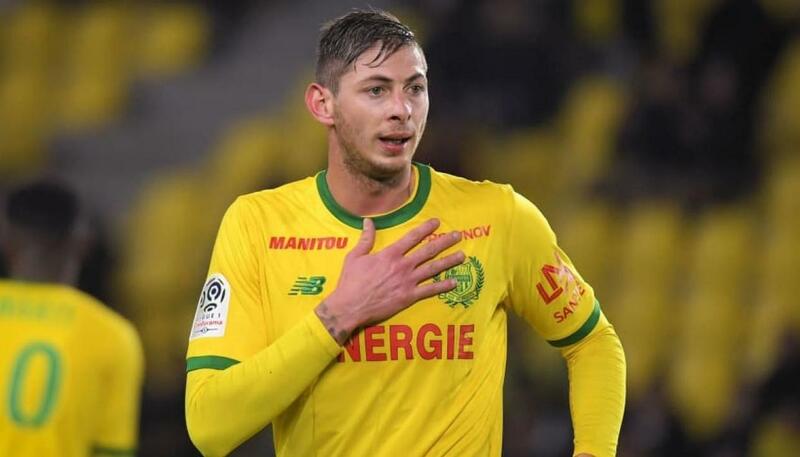 Argentine soccer player Emiliano Sala was aboard a small passenger plane that disappeared off the coast of Guernsey as he was flying to Wales to join Premier League club Cardiff, authorities said on Tuesday. The light aircraft disappeared from radar Monday night over the English Channel as it made the journey from Nantes. The 28-year-old Sala had spent the previous hours saying farewell to teammates at the French city's soccer team after Cardiff signed him for a club-record fee last week. "So far over 1,000 square miles have been searched by a total of five aircraft and two lifeboats," Guernsey police said. "There has been no trace of the aircraft. The search is continuing." "The search was terminated at 2:00, with all search and rescue assets being stood down, due to strengthening winds, worsening sea conditions and reducing visibility," Guernsey police said Tuesday morning. Cardiff signed Sala for a reported 15 million pounds ($19 million) through 2022. He was in Cardiff last week to finalize the transfer, which was awaiting international clearance. "I can't wait to start training, meet my new teammates and get down to work," Sala said in a video posted on the club's website. A powerful and direct player, Sala equalled his career-best total of 12 goals - achieved in the past two seasons with Nantes - in 19 league games this season. He is fifth highest scorer in the French league, one behind Paris Saint-Germain forward Neymar, who is the world's most expensive player. Nates was due to play Entente Sannois in the French Cup on Wednesday but the third-tier club said it was postponed until Sunday "following the disappearance of the plane of former player Emiliano Sala."